Birthed toward the end of the Space Shuttle program as a way for NASA astronauts to reach the International Space Station, the NASA’s Commercial Crew Program has taken on new significance in recent weeks as political relations between the United States and the Russian Federation strain. 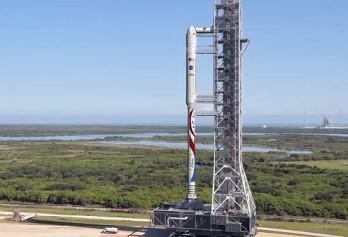 American crew launch independence is now, more than ever, the number one priority for NASA. Since the inception of human spaceflight, the United States has always relied on the U.S. federal agency NASA to launch its astronauts into Low Earth Orbit (LEO) and to the moon. But with the 2004 decision by the George W. Bush administration to end the Space Shuttle program upon the completion of the International Space Station and the subsequent decision by the Barack Obama administration to scrap the Constellation Program (the original successor to the Shuttle) and retool it into the SLS (Space Launch System) Program – a move which lengthened the already-present 3-4 year gap in NASA’s human launch capabilities to a near six year gap – NASA and the United States federal government decided to turn their attention to something that had never been done before. That decision would see commercial companies compete for partial federally funded development programs for cargo and crew transportation to LEO destinations for NASA. Specifically, NASA would only pay for parts of the development program that suited its own interest/needs in providing cargo and crew transportation for the ISS and for improving or developing new space technologies to be utilized for future missions. All other development costs would fall to the commercial companies themselves. 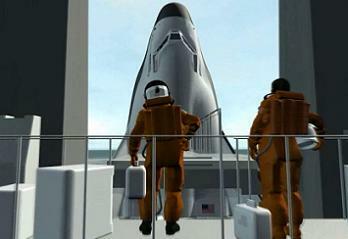 With funding spurred by the pending retirement of the shuttle program, the 2008 economic collapse in the United States, and the 2009 economic recovery efforts, the initial Commercial Crew Development (CCDev) phase was authorized by the United States Congress and funded as part of the American Recovery and Reinvestment Act of 2009. 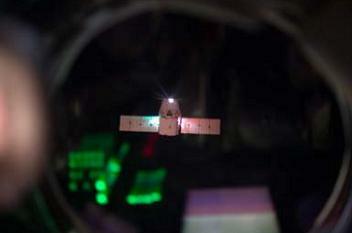 Funded by the federal government and overseen and administered by NASA, the CCDev phase 1 initiative solicited proposals through the late summer and early fall of 2009, culminating in a late-December decision and February 2010 announcement of the first award recipients under the new commercial crew initiative. Of the numerous companies that submitted proposals to NASA, five were selected for funding under the phase 1 development initiative – which sought to develop technologies and systems for human spaceflight (but not actual spacecraft as funded by NASA). With an initial monetary award total of $150 million, $100 million of which was then diverted to the Constellation Program, a total of $50 million was split between the five award winning companies. Of the winning companies, Blue Origin received $3.7 million for their “pusher” launch abort system and composite pressure vessel. 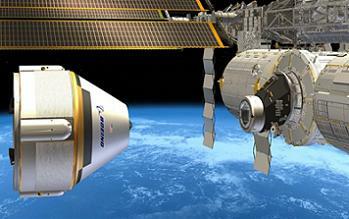 Boeing received $18 million for development of the CST-100 capsule pressure vessel test article, while Paragon Space Development Corporation received $1.4 million for a plug-and-play environmental control and life-support system air revitalization system engineering development unit. 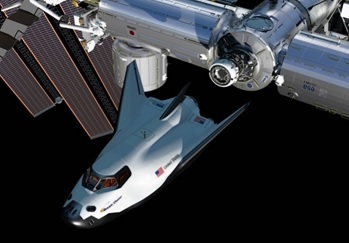 Sierra Nevada Corporation received $20 million (the largest monetary share of any of the five corporations chosen) for initial development plans for Dream Chaser, a reusable space plane and crew and cargo transportation vehicle to LEO destinations. 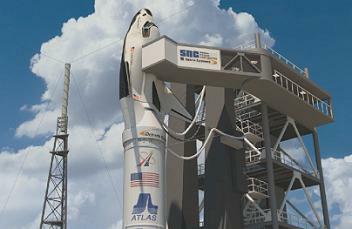 As with Boeing and their CST-100 capsule, monetary funds to Sierra Nevada Corporation under CCDev phase 1 were not awarded for physical construction of the Dream Chaser, but rather for program implementation plans, manufacturing readiness capability, hybrid rocket test fires, and the preliminary structure design. Fifth, but not least, was United Launch Alliance, which received $6.7 million for an emergency detection system for human rating its EELV launch vehicles, including the Atlas V and Delta IV rockets. Notable in phase 1, based on where we are now with the CCDev program, was the non-selection of SpaceX’s phase 1 proposal. Overall, phase 1 of the CCDev program was completed by the end of 2010, with United Launch Alliance, Sierra Nevada Corporation, Boeing, and Paragon Space Development Corporation all completing their respective milestones within the NASA-established timeline. 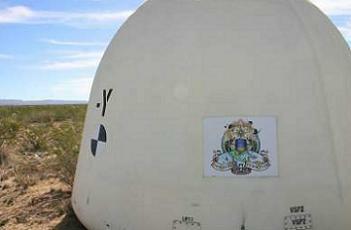 Blue Origin completed their CCDev1 milestones in February 2011. While the companies participating in phase 1 of CCDev pursued completion of their phase 1 milestones in 2010, NASA sought proposals in October 2010 for phase 2 of the CCDev program. Since phase 1 of the program was still active, NASA made clear that the phase 2 proposals could be both new concepts as well as proposals to mature the design and development of system and system elements, like launch vehicles and spacecraft, already under pursuit in phase 1. That disbursement of funds was delayed to April 2011 and the funding level upped to $270 million. On 18 April 2011, NASA awarded four companies SAAs for development of U.S. vehicles to fly astronauts to and from the ISS following the completion of the Shuttle program – which at that point was less than three months away. With the selection of these four companies in the 18 April 2011 announcement, work officially began on the successor spacecraft to the Space Shuttle that would permit NASA not only U.S.-based access to the ISS but also provide critical redundancy to Russia’s Soyuz launch vehicle which, if the 2017 inaugural flight of commercial crew vehicles holds, will have served as the only launch and entry human-rated vehicle for the ISS for over six years. Blue Origin, with a total monetary award of $22 million, for their proposal toward advancing technologies in support of a biconic nosecone-designed orbital vehicle including a launch abort system and restartable hydrolox engines. Space Exploration Technologies, SpaceX, with a $75 million monetary award, for development of an integrated launch abort system design for the Dragon spacecraft. Sierra Nevada Corporation, with an $80 million monetary award, for their phase 2 extensions of the Dream Chaser space plane technology. Boeing, with a $92.3 million monetary award, for additional development of their multi-launch vehicle capable, 10 times reusable, 7-person CST-100 spacecraft. 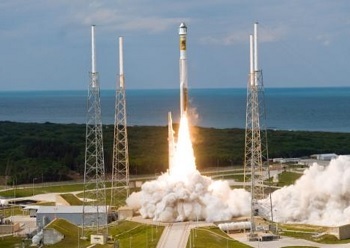 In addition to the four funded proposals, NASA also selected three unfunded phase 2 proposals, including those from United Launch Alliance, ATK and Astrium, and Excalibur Almaz Inc.
For United Launch Alliance, the unfunded proposal selected by NASA was one to extend development work on human rating the Atlas V rocket. Under the unfunded agreement, NASA agreed to share information toward human rating the Atlas V for its proposed use in the launch of the Blue Origin, Boeing, and Sierra Nevada Corporation funded phase 2 proposal vehicles. United Launch Alliance completed all of their unfunded phase 2 CCDev milestones in September 2012. Likewise, ATK and Astrium’s unfunded selection was due to their proposed development of the Liberty launch vehicle. Under that phase 2 proposal, Liberty would be an Ares I first stage-derived launch vehicle with the upper stage of the Ariane V workhorse rocket for the European Space Agency. ATK finished all of their unfunded CCDev2 milestones in August 2012. The third unfunded selection was from Excalibur Almaz Inc. for the development of a crewed system incorporating updated and modernized Soviet era hardware designs for tourist flights to orbit. 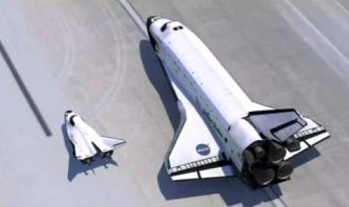 Of the proposals not selected under CCDev2 was, most notably, a United Space Alliance proposal to commercially fly and operate the two remaining Space Shuttle Orbiters, Atlantis and Endeavour (Discovery was already too far into decommissioning systems removal to be viable), on twice-a-year flights to ISS from 2013 to 2017. 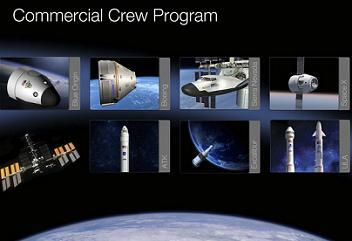 The Commercial Crew integrated Capability (CCiCap) is the current phase in the commercial crew program for NASA. Designed to be a complete end-to-end design for the spacecrafts, launch vehicles, launch services, and ground and mission operations and recovery, NASA released its final request for CCiCap proposals on 7 February 2012. Funding through SAAs was awarded on 3 August 2012. 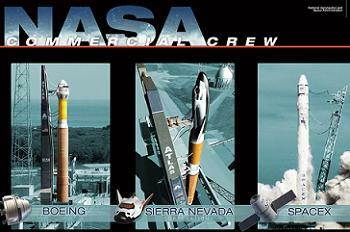 Slated to last through August 2014, the three companies awarded contracts for this phase of the commercial crew program were Sierra Nevada Corporation for their Dream Chaser space plane and its associated Atlas V launch systems; SpaceX for its Dragon spacecraft and Falcon 9 launch systems; and Boeing for the CST-100 spacecraft and associated Atlas V launch systems. In total, Sierra Nevada was given $212.5 million for Dream Chaser, SpaceX $440 million for Dragon and Falcon 9, and Boeing $460 million for CST-100. As of the end of 2013, Sierra Nevada had completed six of its 12 milestones, Boeing had completed 14 of 20 milestones, and SpaceX had completed 11 of 17 milestones for CCiCap. Running in conjunction with CCiCap is the Certification Products Contract (CPC) phase 1 initiative, designed to create a certification plan for all of the associated crew transportation systems from the CCiCap initiatives to result in a series of engineering standards, tests, and analyses of the CCiCap designs. Under phase 1 of the CPC initiative, the three companies awarded contracts under CCiCap were awarded funding for phase 1 CPC on 10 December 2012. In total, SpaceX received $9.6 million towards CPC phase 1, Boeing received $9.9 million, and Sierra Nevada Corporation received $10 million. Phase 1 began on 22 January 2013 and is expected to reach completion on 30 May 2014. Phase 2 of the CPC initiative is expected to begin in mid-2014 and result in the final development, testing, and verifications for the actual flight of crewed demonstrations to ISS no earlier than 2017. Over the course of the last four years, significant progress has been made in handing over LEO access to commercial companies. And it is beyond clear who the three front running companies and spacecraft designs are for restoring U.S. capabilities to LEO destinations. Nevertheless, despite the progress that has been made, there is still a significant ways to go before the debut of these commercially-operated systems for NASA in 2017. Notably, following initial comments by William Gerstenmaier, Associate Administrator for Human Exploration Operations, that NASA would only most likely contract with one commercial carrier for transportation of astronauts to the ISS, no decision has been made by NASA at this point about which one of the three contenders will win the coveted commercial crew transportation contract – or even if only one of them will win the contract. Nonetheless, the three competing companies continue to make strides on their respective vehicles. In early 2014, Sierra Nevada contracted privately with United Launch Alliance to use an Atlas V rocket for an initial orbital test flight of the Dream Chaser spacecraft in November 2016. 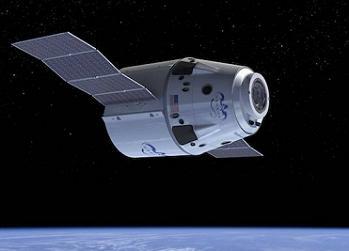 SpaceX, which has seen tremendous success with the unmanned cargo transportation version of its Dragon spacecraft and various iterations of its Falcon 9 rocket, is also driving toward the debut of crewed launch capabilities for the Dragon capsule, though no debut date has been concretely stated at this point. While CST-100 also carries no targeted flight demonstration date at this time, it has won the prestige of undergoing construction operations inside Shuttle Discovery’s former OPF (Orbiter Processing Facility) at the Kennedy Space Center. All in all, for a space agency and a country that has, since 1961, relied entirely on government-based access to space, the initiative and drive of SpaceX, Boeing, and Sierra Nevada are truly inspirational and open the concept of increased public access to the final frontier. But moreover, they offer NASA additional options for crew transportation to the ISS, something which since the retirement of the Shuttle fleet in 2011 has been entirely dependent upon the Russian Soyuz. 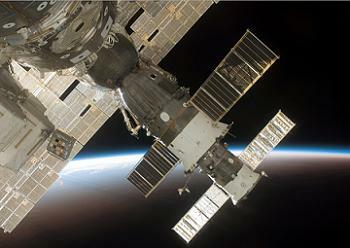 While NASA and the Russian Federal Space Agency continue to maintain relations in terms of operations of and crew transportation to and from the International Space Station, recent political strife in 2014 between the two countries has forced NASA to suspend other operations with Russia. While the Russian Soyuz is a highly reliable, safe, and veteran spacecraft (more so than any other currently-operational spacecraft), the fact that no human transportation redundancy to the ISS currently exists is a lesson the Columbia accident of 2003 should have prevented. Nonetheless, the reality is that no human transportation redundancy to ISS exists, something that would be solved as soon as SpaceX, Sierra Nevada, and/or Boeing achieve the ultimate goal of winning the NASA contract to fly crew commercially to the International Space Station. 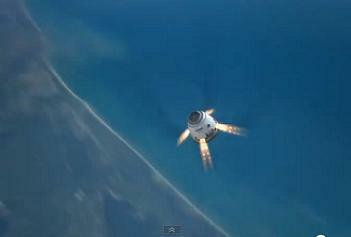 (Images: L2 Content, NASA, SpaceX, SNC, Boeing. NSF and L2 are providing full transition level coverage, available no where else on the internet, from Orion and SLS to ISS and CRS/CCP, to European and Russian vehicles.